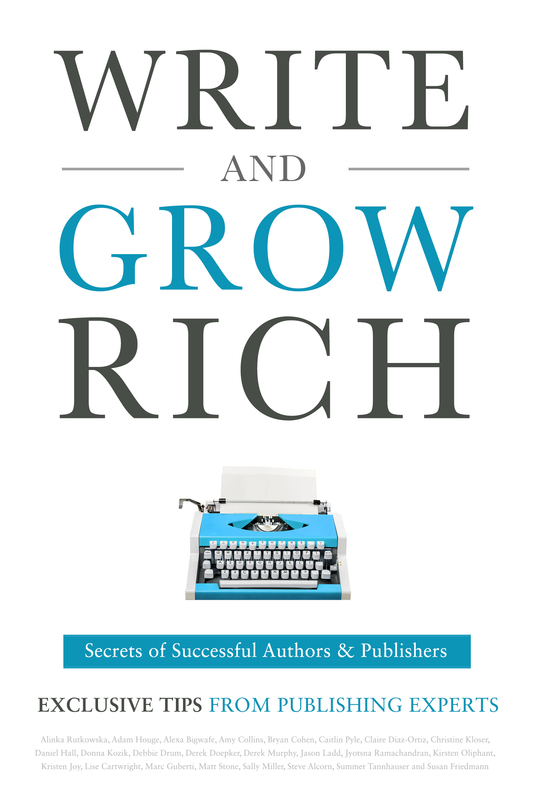 Purchased "Write and Grow Rich"? Claim $5,000 of Author Resources! Get "Make Money Writing: Coaching for writers who want to earn more money"
Get "The Money Mindset Transformation"
You would spend $5,000 if you were to buy them elsewhere. You get them for FREE with your purchase of "Write and Grow Rich"
$197 from Alexa Bigwarfe: Make Money Writing: Coaching for writers who want to earn more money; $97 from Caitlin Pyle: The Money Mindset Transformation. Free premium workshop; $97 from Christine Kloser: Transformation Author Playbook; $197 from Derek Doepker: The Bestseller Journey. $497 from Donna Kozik: Get your Free Publishing Arc Kit. $97 from Jason Ladd: Book Review Banzai Apprentice; $100 from Lise Cartwright: Build Your List and Simple Sales Funnels; $100 from Sally Miller: Write A Bestselling Nonfiction Book; $97 from Susan Friedmann: Quick Keys to Niche Marketing Success; $2oo discount from Claire Diaz-Ortiz: Work by Design Summit: We will change the way you work; $124 from Daniel Hall: Emulate NY Times Bestselling Book Kindle Covers w/ Canva. $199 from Steve Alcorn: Write Your Life Story; $197 from Debbie Drum: How I wrote 6000 words in 50 minutes; $147 from Kirsten Oliphant: Author Blog School; $97 from Summer Tannhauser: The Simplified “Say Yes” Sales Mini Course; $100 discount from Matt Stone: free Marketing Pack Upgrade ($100 value). $197 from Derek Murphy: How to Write Books that Sell; $497 from Kristen Joy: The Kindle in 30 Challenge; $125 from Marc Guberti: Write Kindle Books Ridiculously Fast and Developing New Habits And Eliminating Bad Ones So You Thrive. $399 from Alinka Rutkowska: USA Today Run Teardown; $399 from Amy Collins: Database of 1000 librarians; $997 from Adam Houge: How to launch bestseller after bestseller” series.